Mazda has caught everyone by surprise on the first media day of the Geneva motor show, pulling the wraps off a new SUV to be known as the Mazda CX-30, rather than the CX-4 label originally anticipated for the vehicle. 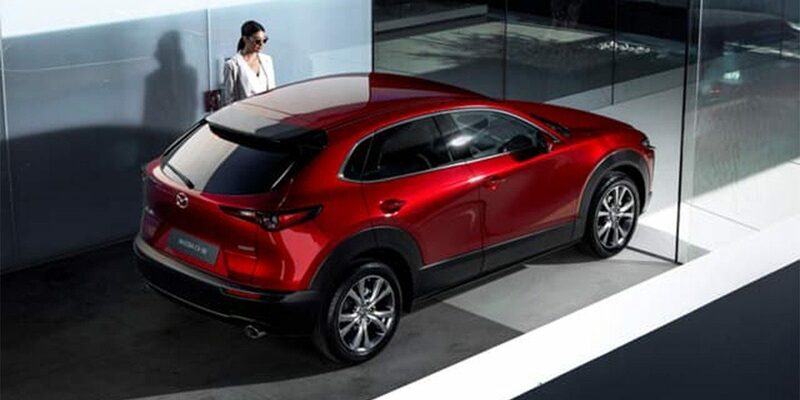 The Mazda CX-30 will sit in the product range between the CX-3 small SUV and the CX-5 mid-size SUV. Mazda Australia expects that despite being built on the new Mazda3 small-car platform, the CX-30 will compete with rivals such as the Nissan Qashqai in the official VFACTS small SUV segment when it arrives in Australia. At this stage, Mazda Australia has said very little else about the car’s specification for our market, but local MD Vinesh Bhindi has indicated the Aussie-spec CX-30 won’t lob in the local market before 2020 at the earliest. The vehicle unveiled in Geneva is a production model though, not a concept car, Bhindi has told carsales.com.au. But Mazda Australia is yet to be informed which of the company’s plants will be building the CX-30 for Australian consumers. Furthermore, the delay for Australia is not due solely to the wait for production to commence, but also for the new SUV to reach European markets first, indicating Mazda’s regional aspirations for the CX-30. “It will be made at key global plants so we can deliver Mazda’s renowned driving pleasure and matured Kodo design to customers all over the world,” said Akira Marumoto, Mazda’s Representative Director, President and CEO. “Moving forward, our new products and technologies will ensure customers continue to see the value in owning a Mazda car. We aim to be recognised as a brand that forms the strongest of bonds with each customer,” Marumoto was quoted as saying in a Mazda press release. Embracing the latest iteration of the Kodo styling theme, the Mazda CX-30 is claimed by the manufacturer to “comfortably” seat four adults, which distinguishes it from the smaller CX-3 and places it on a similar footing to the Mazda CX-5. Stay tuned for more info regarding the All-New Mazda CX-30 at Berwick Mazda.